Traditional party favorites in the States, wine and cheese are daily staples for most Europeans. In most instances, they both begin and lengthen the meal. Through the emerging interest in fine cheeses from American culinary consumers, the need for suitable wine and cheese pairing becomes as natural as the two are companionable. 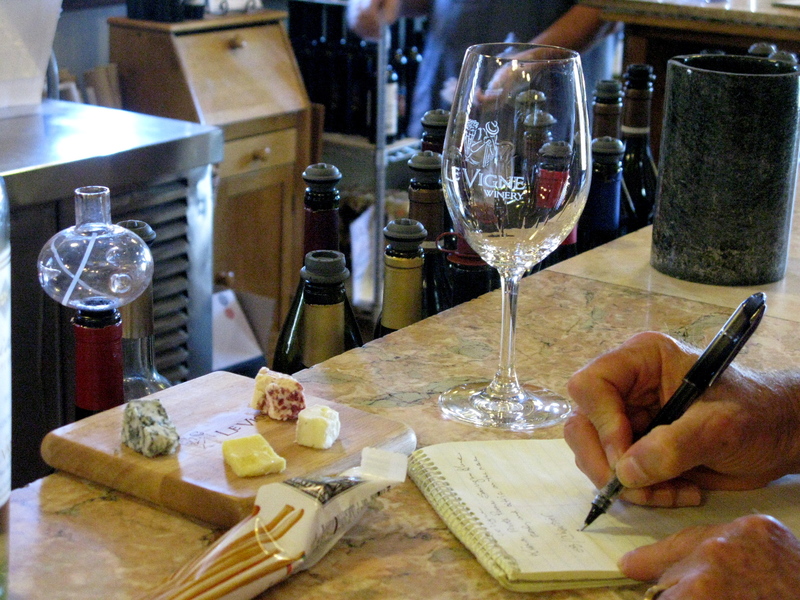 For centuries wine and cheese have been part of every hearty meal in many parts of the world. Both are examples of “delayed gratification” and good planning to turn cow’s milk into cheese for the winter and grapes into future wine. More than the history, they are similar and often described by their mild or robust flavors, creamy or firm textures or acidity. Each of us, on average, eats nearly 35 lbs of cheese annually, but, on whole, are becoming more discriminating in our taste. Today, we choose from the milk of cows, goat’s, sheep and in rare instances, Water Buffalo, asking if it is raw or pasteurized and if the end product is soft or hard with a natural or washed rind. There is reason to be so discerning. As an experiment, next time you have a recipe calling for Parmesan cheese, substitute with fresh pecorino-toscano, an ancient Italian cheese from sheep’s milk, often available in local markets. Developed through a lengthy process and always aged, pecorino-toscano flavors are fresh and simple with a nutty, buttery texture. It will enhance the flavor of food and pair well with a sangiovese such as the local 2009 Leona Valley Winery Sangiovese, one of the best that I have recently enjoyed. As a starting point to begin to enjoy wine and cheese pairing, the following European cheeses are recommend jas delicious individually and good “vino” partners. 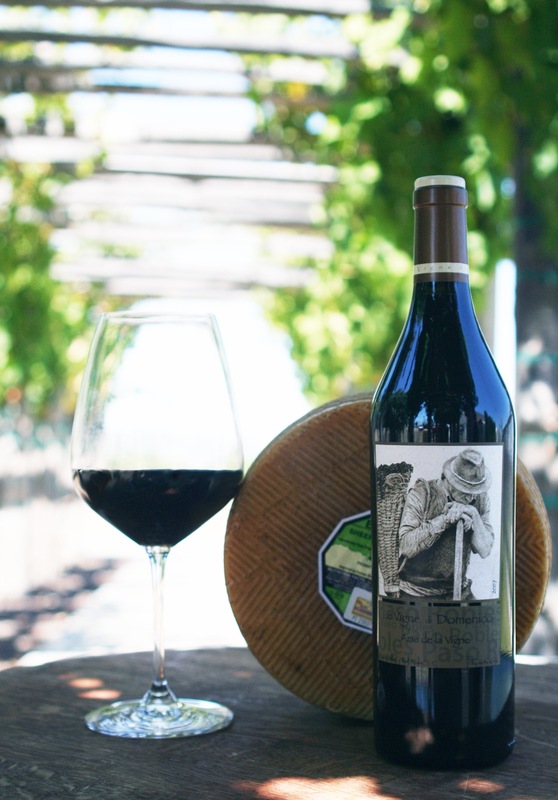 As the wines of southern Europe were role models for our wines, American cheese makers are following established Old World methods, but putting a New world stamp in their process. Reminiscent to the 1976 Paris Tasting, some American cheeses are outscoring their mentors in global competitions. One example is the Rogue River Blue, produced by the Rogue Creamery in Oregon. Designated “World’s Best Blue Cheese” in 2003 at the World Cheese Awards in London with several “Best of Show” from the American Cheese Awards, the Rogue River Blue, wrapped in grape leaves and expressing a brownish hue, lacks the sting and saltiness than some find difficult in blue cheese. Recently near the Rogue River Valley, I acquired and served some Rogue River Blue with honey and marcona almonds and a polished Sauternes from France. You must try it because I could never explain how good it was. The following is a brief list of American boutique cheese that I have recently enjoyed. Research can be so arduous, but I made the sacrifice to contact Zina Miakinova, designated Cheese Lady from Le Vigne Winery in Paso Robles to arrange for a wine/cheese pairing. 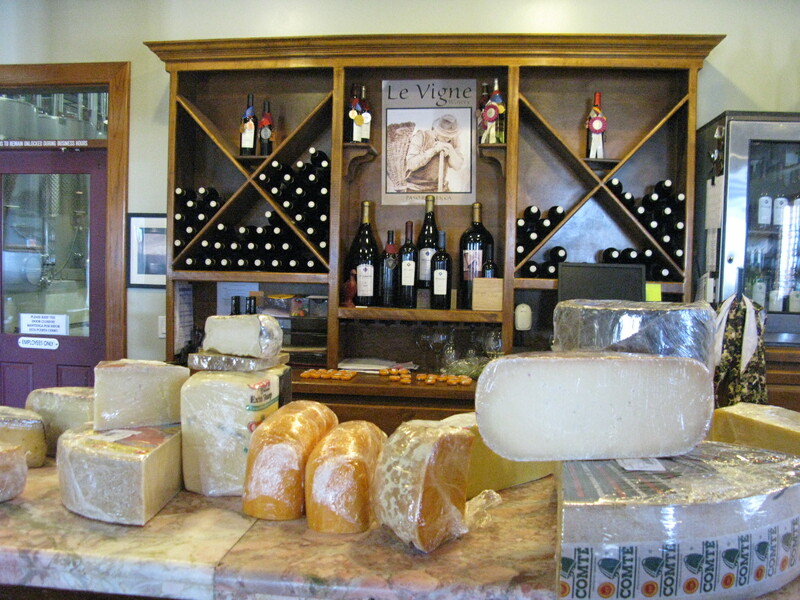 Located in the northeast quadrant on Buena Vista Drive, Le Vigne specializes in semi-rare gourmet cheeses along with fine wines and creative blends. Nothing enhances an experience more than exploring it with an expert. A “cardinal rule” of pairings is that, in all instances, the cheese augments, but never distracts from the wine. Supporting this end, the process begins with a sniff and taste of wine, then the cheese, finishing with the wine. 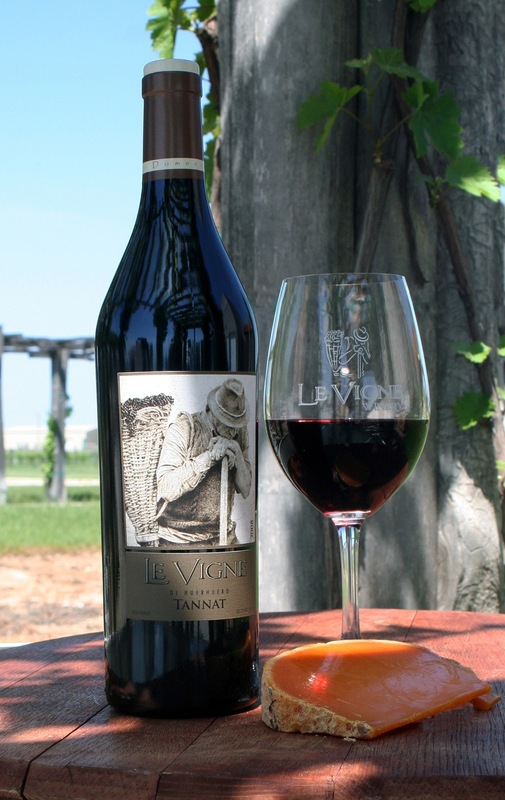 Although Le Vigne changes its pairings regularly, ours left us understanding that we had discovered something unique. The textures and flavors were perfectly balanced or counter-balanced and made each other better. Chaubier (Fr). Chaubier is a semi-firm cheese made from half cow’s milk, half goat’s milk. Its mildly robustflavors and rich texture balanced well with the zesty and citric sauvignon blanc, aged in a variety of oak barrels. Pair #2: 2008 Kiara Reserve Rose’ with Cranberry Le Roullee (FR). One would expect pairing a sweet cheese with a rose’ to be a bit excessive. However, this rose’ is a very dry, complex wine that consists of a blend of cabernet sauvignon, pinot noir, syrah, merlot and cabernet franc, representing the Bordeaux, Burgundy and Rhone Valley regions of France. With this rose’, the brain needs a few moments to overcome the anticipation of sweetness and focus on the dry flavors. It needs something sweet and the Cranberry Le Roullee, a sweet, soft cheese infused with dried cranberries made this a decadent pair. Seemingly an odd couple, we paired an aged, soft, jammy, fruit-forward wine with a biting, extra sharp Irish cheddar. Both flavors have long finishes and, in some unexplainable way, they counter-balance each other perfectly. The syrah was the best wine that I tasted and the extraordinary pairing experience prompt me to bring some of each home. Because, common practice is to pair a sharp, pungent blue cheese with a dessert wine such as a French Sauternes, I was anxious to find how the Valdeon, an esteemed Spanish blue wrapped in walnut leaves, would coalesce with this Rhone blend expressing rich fruit and spicy, herb flavors. Of course, the wine tamed the Valdeon and the results were wonderful. Pair# 6: 2010 Kiara Bella Moscato with Cherry Gourmandise (Fr) Learning as I go, Zina surprised us at the conclusion of the pairing, with a sweet, melon flavored Muscat of Alexandria with the Cherry Gourmandise, a buttery, soft cow’s milk cheese, infused with kirsch, a liqueur distilled from cherries. Apparently, pairings such as this are common, popular because they impart a variety of rich, sweet flavors that are pure decadence. 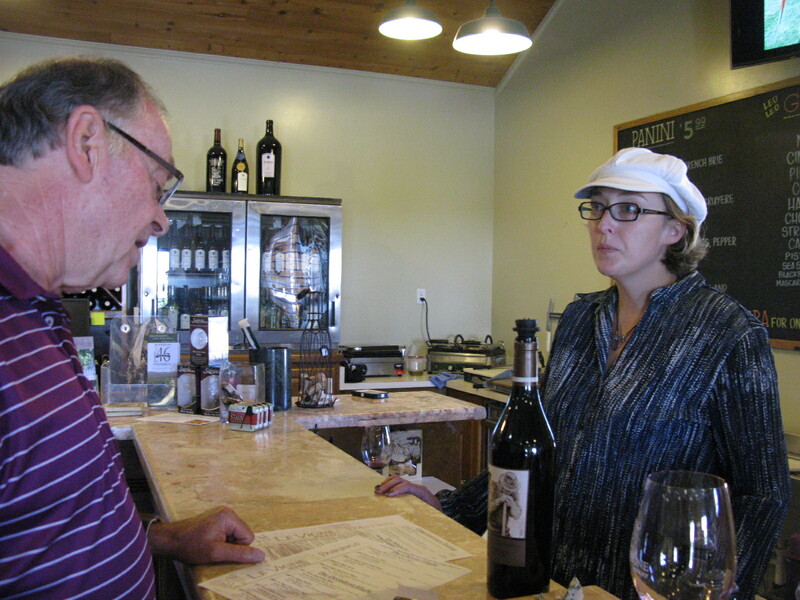 Le Vigne Winery is a wonderful environment to enjoy cheese and wine tastings and is open to the public. For those inclined, they have a wine/cheese club and also offer a “Decadent Flight” that pairs wine with fine chocolates. When pairing wine and cheese, do some research on the texture and concentration of flavors of both and avoid letting the intensity of one overpower the other. 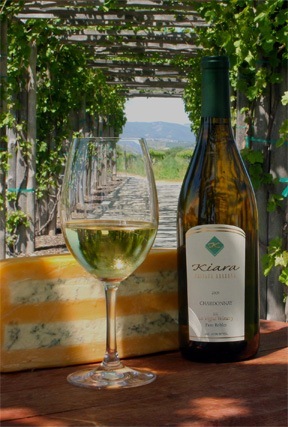 Counter-balancing acidity and sweetness, such as a powerful blue cheese with a sweet dessert wine, is also important. When serving cheese as a pre-dinner appetizer, think diversity of shape as well as texture and flavor, something easily done with cheeses from a specific country or region such as Sonoma County in northern California. Whatever you decide, always remember the essential rule to honor the wine. This entry was posted on Monday, December 10th, 2012 at 9:48 pm	and posted in Food, Wine. You can follow any responses to this entry through the RSS 2.0 feed.